English musician Victoria Hesketh, known by her stage name Little Boots, wearing a Peter Pan collar. In case you haven’t heard, the Peter Pan collar—that girlishly rounded slip of a collar you may have noticed encircling the neck of your local ingénue this winter—is officially back. Kirsten Dunst has been wearing one, Michelle Williams has been wearing one, and, if you believe Google image search, Alexa Chung has been wearing one almost every day. Fashionologie recommends you buy one made out of crystals for $2500. YouTube is littered with DIY videos explaining how to make your own for nothing. Where did this look come from? Why is it called a Peter Pan collar? And why is it back? 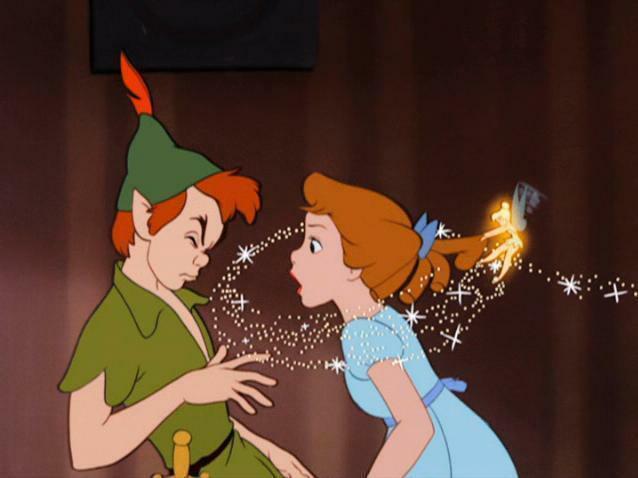 The name has nothing to do with the 1953 animated Disney movie or the 1955 NBC telecast starring Mary Martin; in both those productions, Peter wears a deep-V tee shirt (a style that is, incidentally, also popular among hipsters). The costume that launched the trend was designed way back in 1905, for the first American stage production of J.M. Barrie’s play. Maude Adams, the Broadway star who played Peter, wore britches, a feathered cap, and a forest-y looking blouse with a white, rounded collar—a bit wider than the Peter Pan collars in vogue today, but otherwise quite similar. 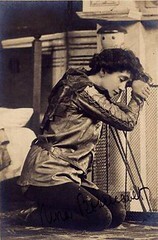 The collar was unique to this production; it hadn’t appeared in the original 1904 London production, starring Nina Boucicalt (who wore something resembling an abbreviated cape over her shoulders), nor was it mentioned in the text of the play itself (there Peter is dressed far more whimsically, in “autumn leaves and cobwebs”). As a boon to thin society girls and a bugbear to those suffering from superfluous adipose tissue, high, stiff, white collars have loomed again in the arch of fashion, and have been taken up by many of those who fancy that such a collar gives ‘smartness.’ But though the cheerful thin woman may look down with scorn upon her less fortunate sister from that high white wall, it is also a comfort to the fat woman to know that, though she may be suffering greatly from mal a l’aise when wearing the collar, it will help to reduce the chin, which is such an obnoxious sign of size and age. The joke was on the Post gossip columnist, because Peter Pan collars were around for good: They’ve popped up as a fad in nearly every decade since Adams introduced the style. In the 1920s the collars became standard fare on little girls’ dresses, creating an innocent association that persists to this day. By the 1930s, the style had become nearly de rigeur at weddings—and not for the flower girls: Wedding announcement after wedding announcement in the ’30s and ’40s (even into the ’50s) describe the bride decked out in white satin and a Peter Pan collar. In the next two decades the look managed to swing smoothly from frumpy (First Lady Mamie Eisenhower wore a “silky purple Molly Parnis dress [with] a Peter Pan collar” to her sixtieth birthday party in 1956) to hip (the New York Times described a young Lynn Redgrave in a “black velvet see-through Mod dress with the white Peter Pan collar” in 1966). By the ’70s, fashionistas proclaimed a ’50s revival, including—you guessed it—a renewed love for the Peter Pan collar. The ’80s saw the collars incorporated into power suits—and also adopted by young people trying to look ironically demure (“wearers,” reported the New York Times in 1983, “resemble refugees from a Kate Greenaway or Beatrix Potter tale”). 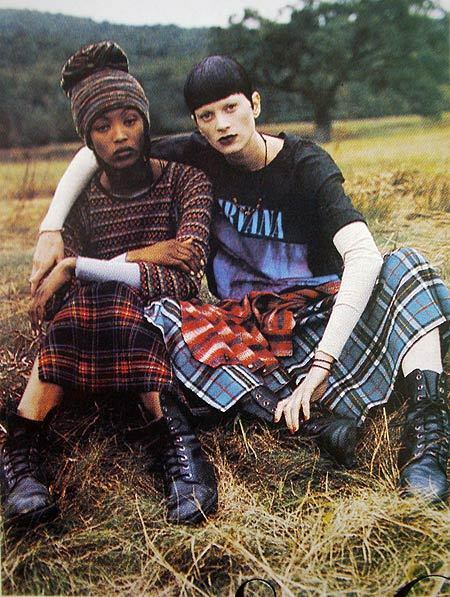 The trend went briefly into hibernation in the ’90s, but reemerged in the mid-aughts—perhaps as an ultra-feminine reaction to ’90s grunge or millennial haywire. And the trend has simmered away on low heat since then—until suddenly, in recent months, when it seems to have reached another boiling point. So where did Maude Adams come up with this resilient contribution to the world of fashion? A biography of Adams by Armond Fields reveals that she collaborated on the costume with two friends: the famous American portrait painter John White Alexander, and his wife, Elizabeth. 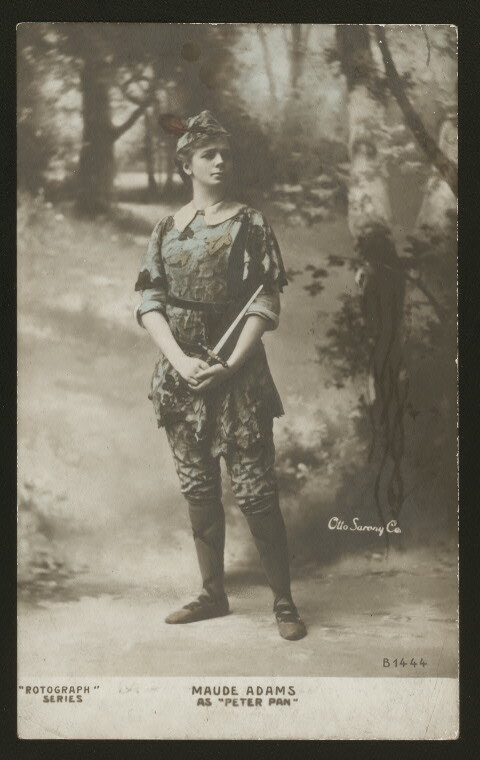 The trio worked together on the costumes for several more plays—and John Alexander even painted a portrait of Adams in her famous Peter Pan costume, which hung in the Empire Theater lobby in New York, where the production had been staged. So did the trend originate with Colette? It’s unclear, but the col Claudine/Peter Pan collar bears many similarities to other, earlier or contemporaneous, collars, such as the Little Lord Fauntleroy collar, featured on the children’s suit inspired by Frances Hodgson Burnett’s 1885 novel; the Buster Brown collar, which was donned by the comic strip character created in 1902; and even the collar traditionally worn by Quakers, which also enjoyed a moment in the fashion spotlight in the first decades of the 20th century. Though Adams wasn’t the originator of this fashion, or the sole architect of her own famous costume, she did lend the style its strongest association, at least in the U.S. Her “Peter Pan collar” was such a success that a writer in the January 1909 edition of Theatre magazine declared, a tad prematurely, in light of Adams’s new role in a play called What Every Woman Knows: “As Miss Adams was the originator of the Peter Pan collar, so she will undoubtedly be of the Maggie Wylie collar.” That didn’t happen, of course—and, eventually, the collar she did make fashionable lost its association with her, keeping instead the association with Peter Pan, even as the standard Pan costume evolved. So why is it back with us again? These days, the collars are often worn with a sort of twee, schoolgirl-ish sweater and skirt combo, and they seem like the perfect accessory for a generation of women afflicted with Peter Pan syndrome (think: writing in lower case letters, fetishizing kittens, and pretty much anything Zooey Deschanel might do). The feminist in me wants to hate them, but the fashion lover has to admit: The more I look at Peter Pan collars—particularly the detachable versions in unexpected fabrics, like leather—the more I’m beginning to like them. At least I’m in good company.